PhotoInstrument is an easy to learn tool for editing and retouching digital photos. The powerful raster graphics editor in PhotoInstruments quickly and easily allows you to adjust and process digital photos. PhotoInstruments rich tools and effects offer adjustments and photo retouching tools that are usually found only in expensive retouching software. Now with just a few clicks in PhotoInstrument anyone can solve most digital photo problems. Qweas is providing links to PhotoInstrument 5.7 as a courtesy, and makes no representations regarding PhotoInstrument or any other applications or any information related thereto. 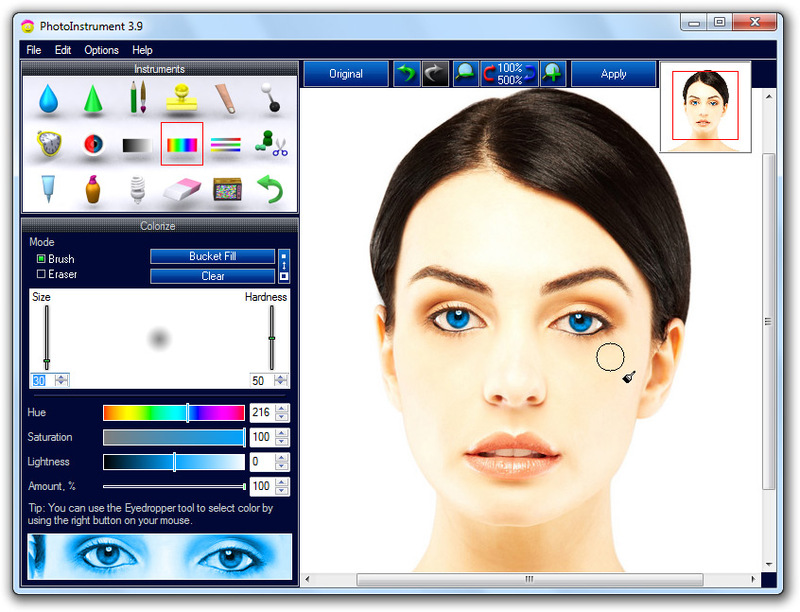 Any questions, complaints or claims regarding this application PhotoInstrument 5.7 must be directed to the appropriate software vendor. You may click the publisher link of PhotoInstrument on the top of this page to get more details about the vendor.